There Is a Lot of It. As a storage system, DNA must continually break apart in order to be read or to be duplicated. 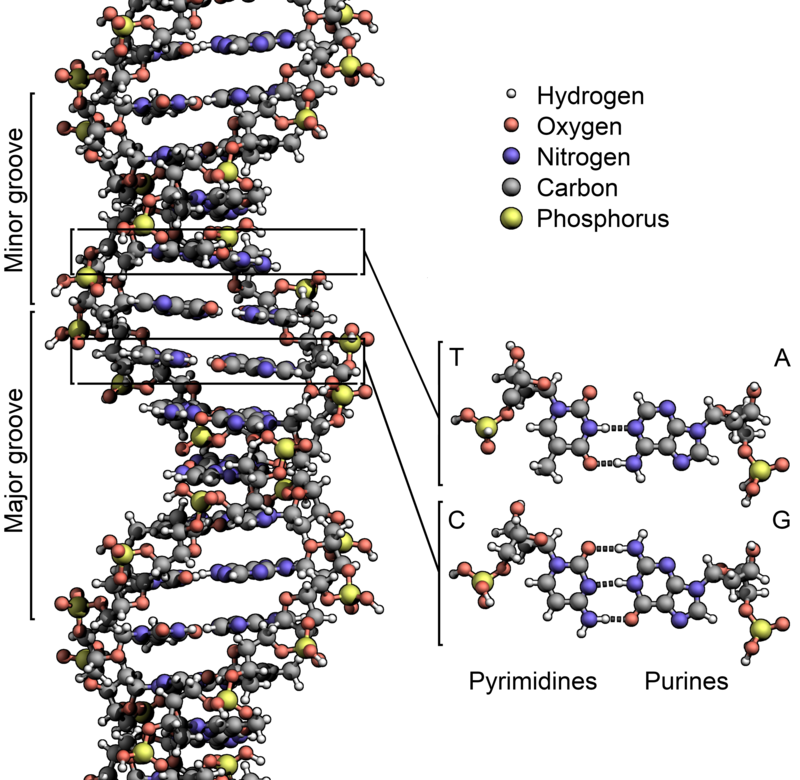 When it is in its double helix form, it is pretty. It is in storage. It just sits there. Hydrogen bonding (which is not nearly as strong as a regular bond) can break apart easily. It can be put together easily. There are two main events that occur with DNA. Copying the DNA strand, and reading the DNA in order to produce the biological machines in the human body that are comprised of proteins. The following videos describes how the DNA is broken apart and either copied or transcribed. The main Chemotherapy drugs that are used (at least for Neuroblastoma) focus on the interruption of the copying process. An interruption of the copying process triggers the oncogenes in the cell to cause apoptosis (cell death). While healthy cells have the means and time to do their best job at repairing the cell before sounding the apoptosis alarm, cancer cells are not nearly as patient. When they discover that there is a problem with DNA replication, they will often give up… At least until they assimilate the knowledge of how to repair the DNA or the knowledge of how to keep the chemotherapy drugs out of their cell walls. This adaptation leads to the demise of the effectiveness of chemotherapy drugs in their fight against cancer.